Snapchat has had a huge week. After their first day as a publicly traded company, everyone's favourite app has been valued at a whopping $28 billion. To celebrate such a momentous occasion, Snapchat surprised users with a special lens. The catch is...you probably can't use it. On Snapchat's big day, a big yellow sign appeared in New York to commemorate the day. 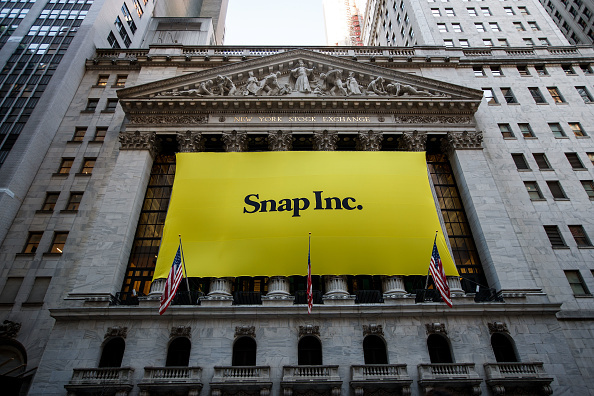 Mashable reporter Kerry Flynn noted that there was a brand new lens at the NYSE (New York stock exchange) and, apparently, at all Snap offices. The lens combines the puppy and rainbow vomit filters with a smattering of celebratory confetti in the background. The puppy and the vomit filters are two of the app's most popular lenses so it makes sense a combination would be Snapchat's celebratory release. GAH. We are so jealous! Lots of people wondered why Snapchat didn't release an IPO filter for everyone. So @Snap didn't make a Snapchat filter for their own IPO? Snapchat haven't revealed whether or not they plan to bring out this lens for the rest of us but here's hoping that we can all be rainbow vomiting puppies soon.